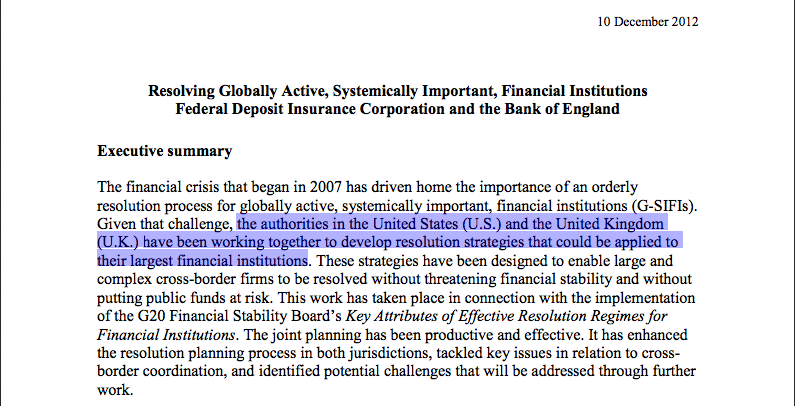 How did we come to a place where an unknown, unelected body of bankers and bureaucrats — chaired since its inception by former Goldman Sachs men — has duped the G20 heads of government into endorsing a scheme to “bail-in” the insolvent private sector banking system by stealing the savings of taxpayers? 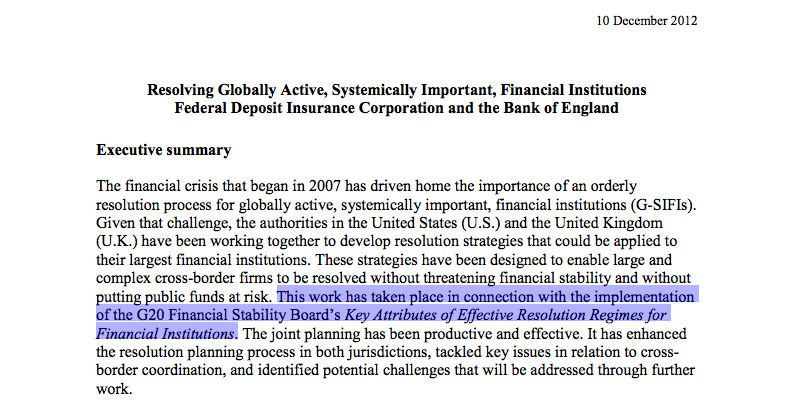 How did we come to a place where the European Union, the UK, the USA, Canada, and now Australia and New Zealand, have all begun implementing a new regime for “addressing the problem” of “moral hazard” associated with government bail outs for “too-big-to-fail” financial firms — supposedly “without exposing the taxpayer to the risk of loss” — by stealing the savings of taxpayers? 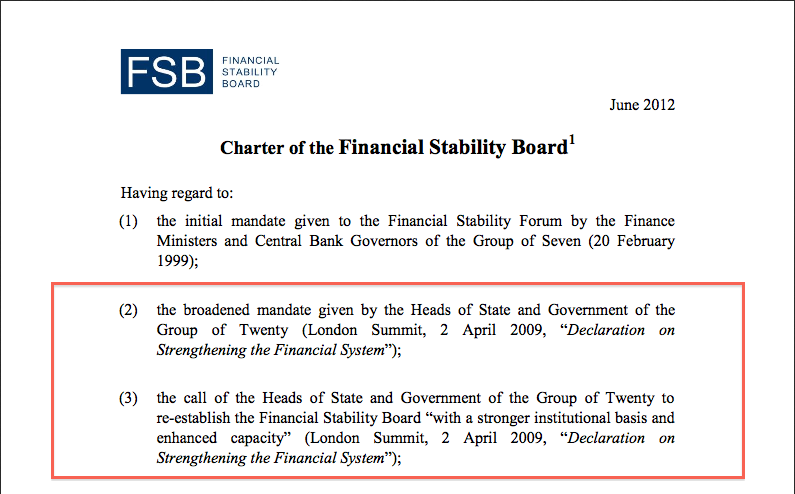 FEBRUARY, 1999 – Following recommendations by then President of the Deutsche Bundesbank (German central bank) and later the Vice-Chairman (2003-present) of the Board of Directors of the Bank for International Settlements (BIS), Hans Tietmeyer, G7 Finance Ministers and Central Bank Governors endorse the creation of a new body, the Financial Stability Forum (FSF). It is funded by the BIS, and based in Basel, Switzerland. 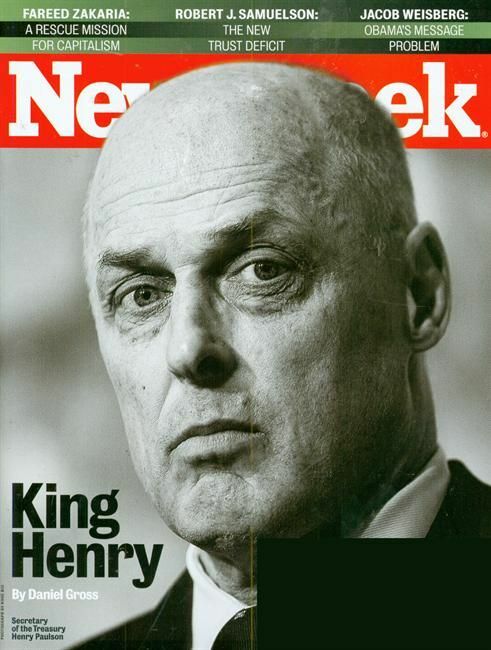 30 MAY, 2006 – Chairman and CEO of Goldman Sachs from 1999-2006, Henry “Hank” Paulson, appointed Secretary of the Treasury by George W. Bush. During his tenure at Goldman, it became a major player in the creation and sale of collateralised debt obligations (CDO’s), including subprime mortgage-backed securities ($135 billion from 2001-2007). A tax loophole introduced under former President George HW Bush enables Paulson to meet the conflict of interest preconditions for assuming a government position, by “divesting” most of his $700 million fortune in Goldman Sachs’ stock, tax-free. During Paulson’s first 15 months as Secretary of the Treasury, Goldman Sachs sells $30 billion in toxic mortgage products to pension funds, foreign banks and other investors (including a 59% increase in 2006), and makes billions betting against its own products. In 2006 and 2007, as the housing bubble bursts, Goldman distributes $22.3 billion in year-end profit-sharing rewards to its 31,000 employees and $112 million in bonuses to Paulson’s successor, Lloyd Blankfein. 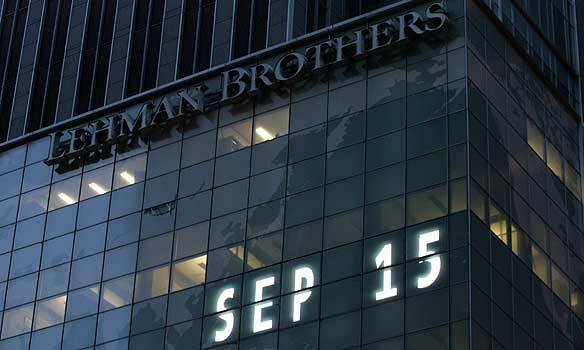 21 SEPTEMBER, 2008 – On a Sunday, Goldman Sachs is authorised to change its investment bank status, and becomes a traditional bank holding company, thus making it eligible for bailout funds. 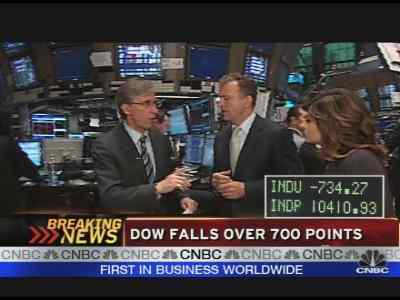 26 SEPTEMBER, 2008 – French President Nicholas Sarkozy says “we must rethink the financial system from scratch”. 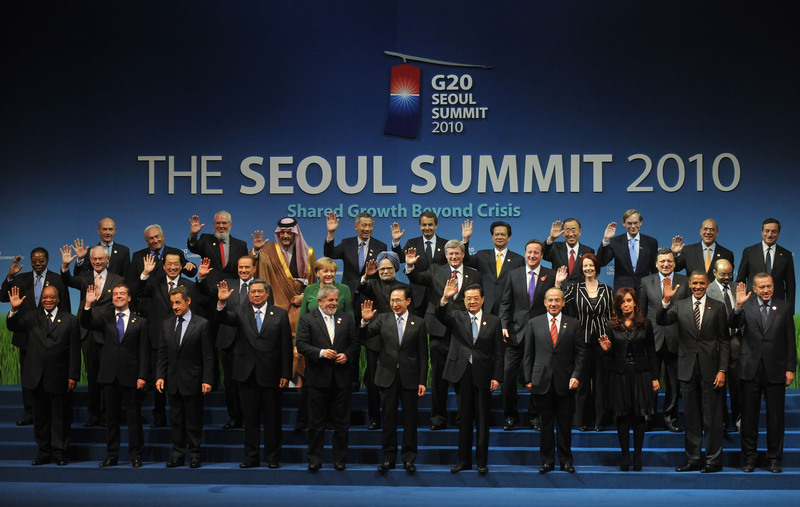 7 OCTOBER, 2008 – World Bank President Robert Zoellick calls for “a new multilateral network for a new global economy”, says that “We will not create a new world simply by remaking the old”. 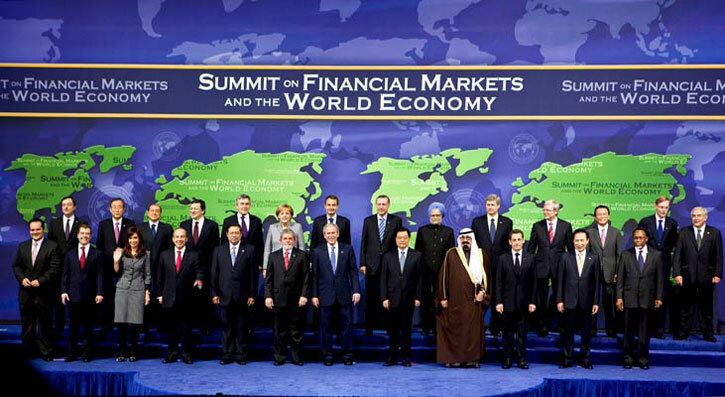 13 OCTOBER, 2008 – British Prime Minister Gordon Brown says “We must create a new international financial architecture for the global age”, and that “We are proposing a world leaders’ meeting in which we must agree the principles and policies for restructuring the financial system across the globe”. 4 NOVEMBER, 2011 – Former Goldman Sachs co-head of sovereign risk and managing director of investment banking, chairman of the Bank for International Settlements’ Committee on the Global Financial System, and Governor of the central Bank of Canada, Mark Carney, is appointed the new chairman of the Financial Stability Board. 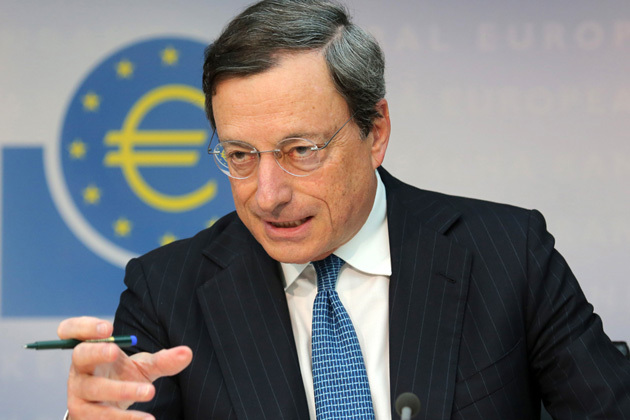 He replaces fellow Goldman Sachs alumnus and current European Central Bank President, Mario Draghi. 25 JUNE, 2012 – Government of Cyprus requests bailout from the EU, due to losses in its banking system associated with the Greek debt crisis. 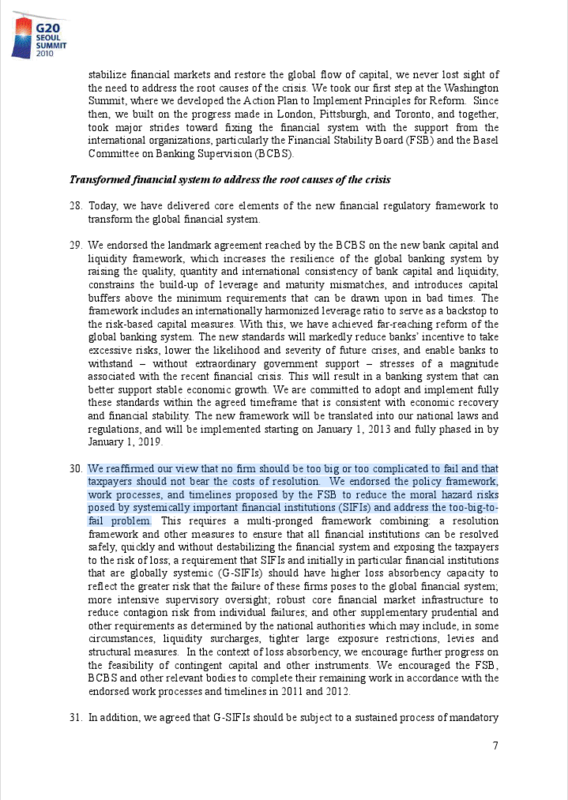 14 MARCH, 2013 – Reserve Bank of New Zealand releases draft Open Bank Resolution policy, which includes “bail-in” for failing banks using depositors’ money. 16 MARCH, 2013 – Cypriot Government agrees to EU-imposed conditions for receiving bail out funds, terms which include “bail-in” of Cypriot banks using depositors’ savings. 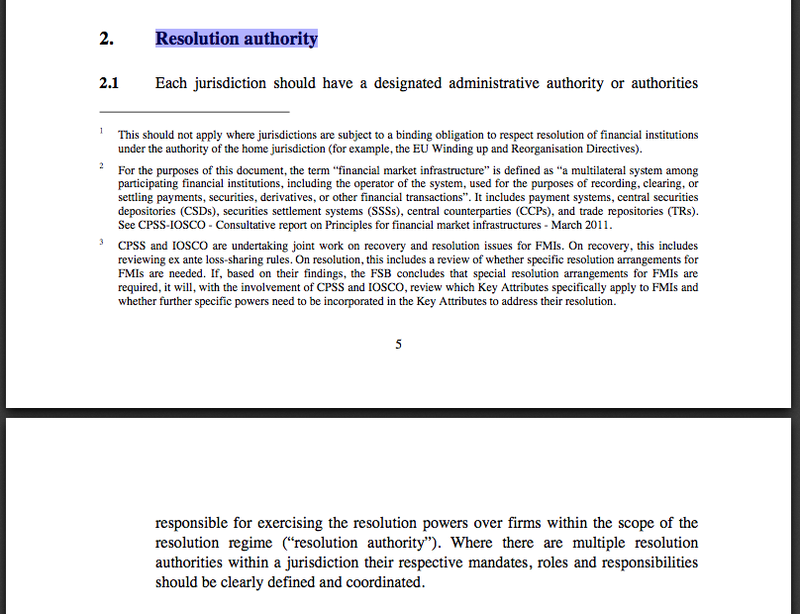 20 MAY, 2013 – The European Parliament’s Economic and Monetary Affairs committee issues a press release stating that “The case in Cyprus showed how important it is to have clear procedures for making shareholders, bondholders and ultimately depositors foot the bill”. 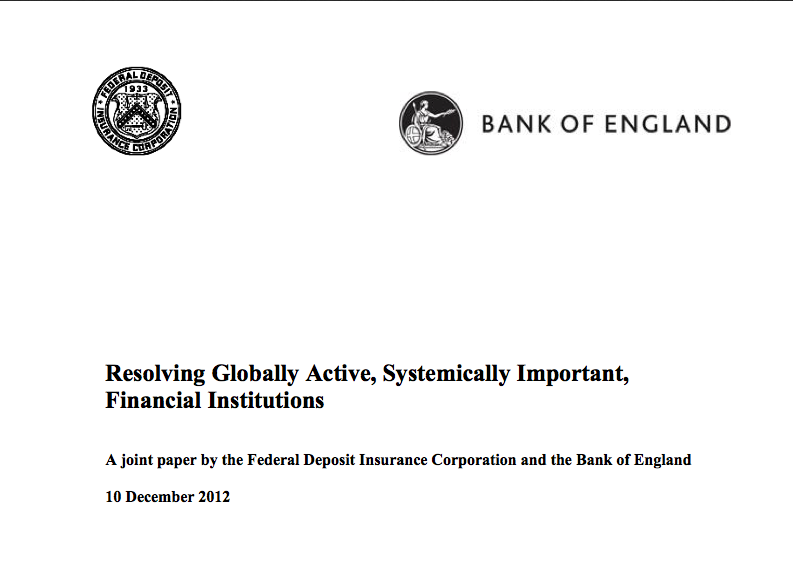 Bank of England deputy governor Paul Tucker says that draft EU bank rescue laws would be a milestone towards “a global system”. 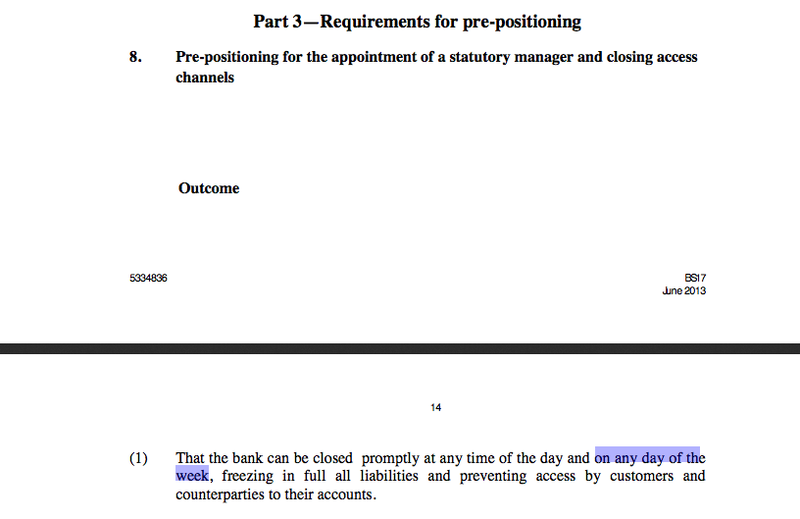 27 JUNE, 2013 – The European Union agrees on “bail-in” rules as part of the Bank Resolution and Recovery Directive. 1 JULY, 2013 – Mark Carney appointed to a second term as chairman of the FSB; also becomes Governor of the Bank of England. 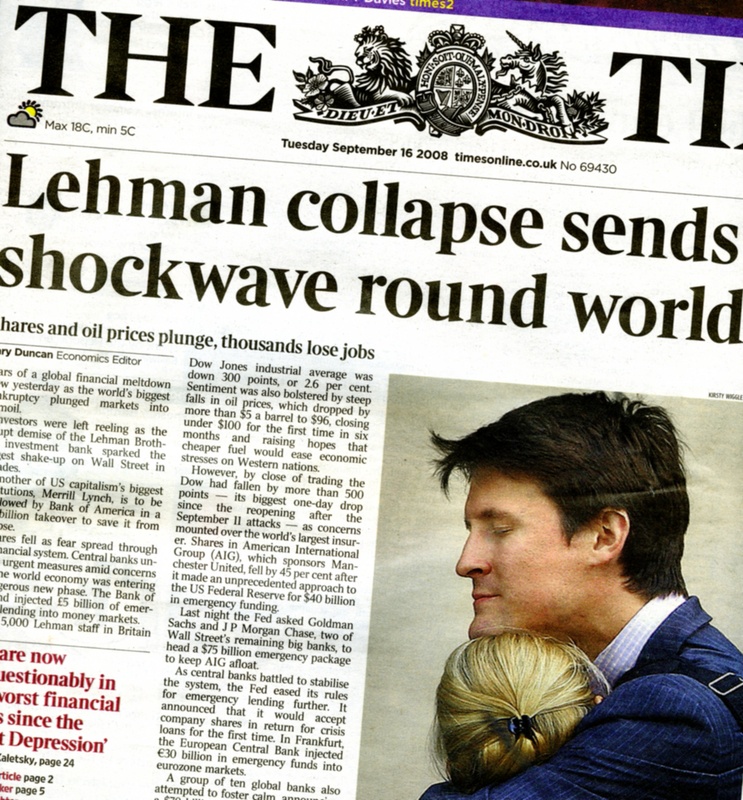 3 JULY 2013 – The Financial Times warns that the EU’s newly agreed ‘Bank Resolution and Recovery Directive’ “swings Europe from one extreme – a system laden with implicit government guarantees that protected bank creditors from bearing losses – to the other”, and “risks old-style bank runs”. 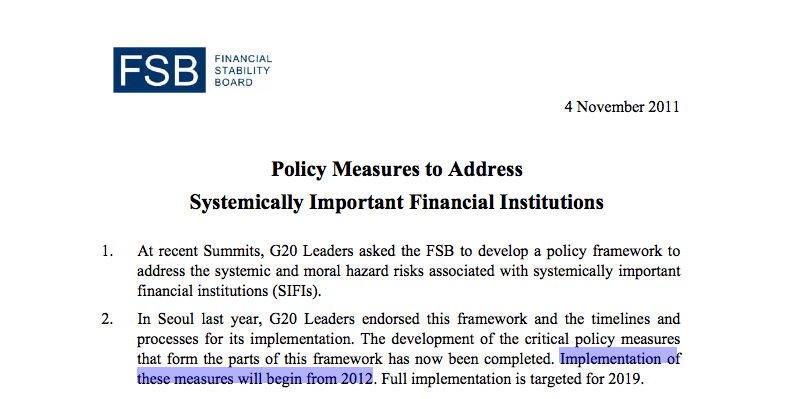 Amidst all the celebrity shoulder-rubbing, champagne, caviar, and photo ops, I wonder how many of the G20 leaders actually read the document, much less noticed that tiny part. Or — if any of them did — if any had the first clue what it meant. We have been warned. ‘Twould seem high time to consider seriously minimising exposure to “paper assets” of all kinds, including cash in their bankstering system. And did I read correctly the Kiwis setting a “de minimus” amount of only $5000? ?, meaning that anything above this level is open slather to nick 25% of?? They’ll take the lot in the end, TS. 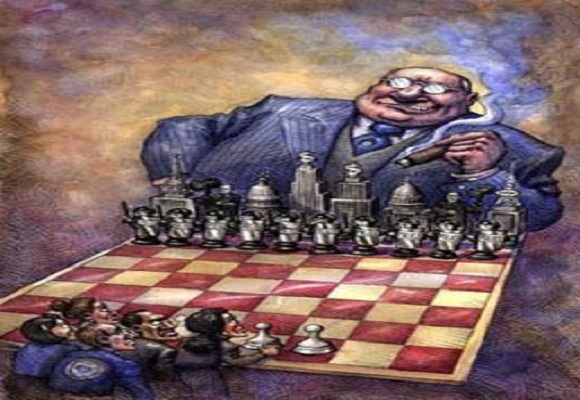 The galactic derivatives overhang on the Western banking system is near-certain to wipe out all deposit holders — many derivatives are classified as “secured”, therefore will be preferenced before depositors. Will be covering this issue in future posts. Do you not know what the word ‘revolution’ means? Any attempt to steal a little from a few may work. And attempt to steal a lot from the masses will have implications and rioting and violence would be on the cards. So don’t make this so black and white. It will be anything but should we reach this end game at all. I would think that governments may prefer to devalue their currencies by buying more printing presses as a ‘natural’ collapse of currencies may be more politically palatable than direct theft to avoid the people taking up arms………..ok, that’s right: there are a quarter of a million weapons in the hands of criminals whilst law abiding citizens have none any more. Forgot about that one. At age 34- 35 Julia Gillard contends that she was a young lawyer and naive, and didn’t have a clue about the corruption going on around her: and it appears she was still naive and out of her depth during her period as Prime Minister. The allegations against Julia Gillard were initially raised in the Victorian Parliament in 1995. 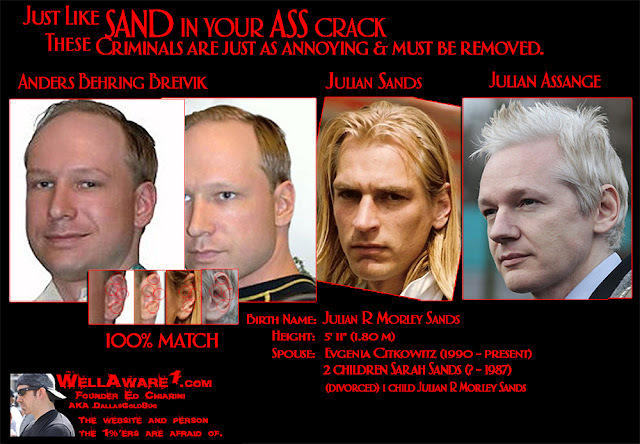 What a few prosthetics can do for a third-rate actor! Love the putty job on the nose. I wouldn’t be surprised if Kevin Rudd had the backing of Goldman Sachs. AND TONY ABBOTT Kevin. It appears to me that Abbott is little more than the lacky of big business but maybe you think otherwise. But I agree with you that it is good to see Miss Gillard gone.